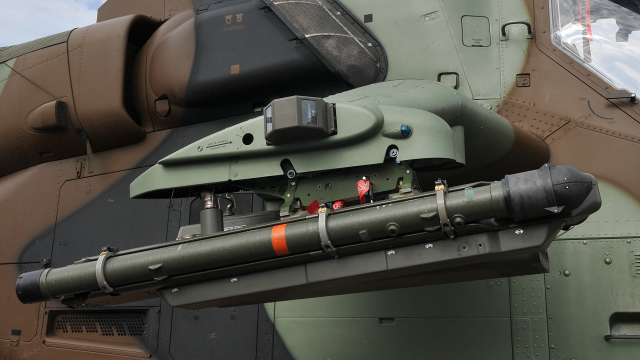 MISTRAL ATAM is based on the MISTRAL missile with its fire-and-forget engagement mode, ease of operation and unrivalled kill probability. 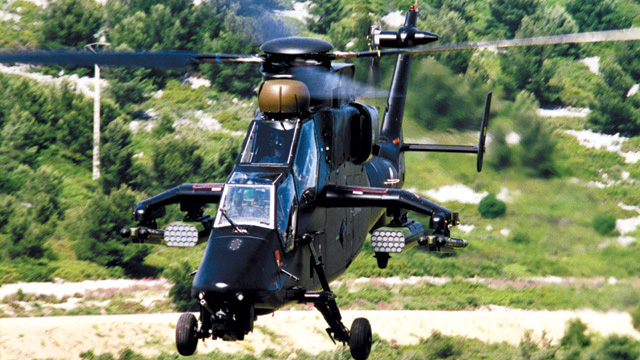 The system is based on two launchers, each bearing two missiles and can be connected to the helicopter’s combat system, when mounted on combat helicopters, or through simplified control equipment if installed on multi-purpose helicopters. 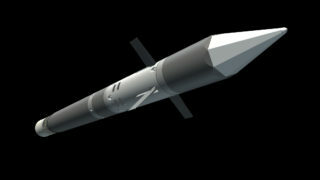 In both cases, it is characterised by simplicity of operation, a very low crew workload and a high level of performance. 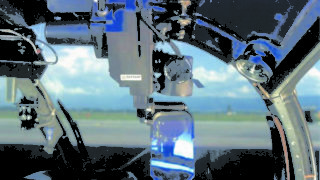 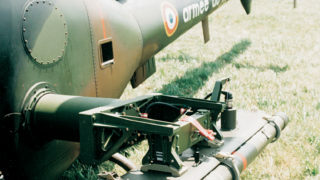 The system can be operated within the whole flight envelope of the launch helicopter, at speeds of up to 200 knots and at altitudes exceeding 15,000 ft.
MISTRAL ATAM ensures a large off-boresight capability, together with the ability to aim the missile seeker very precisely at a given target. The missile has a shaped trajectory in order to intercept targets top-down or at long range, the crew can also select the proximity fuze mode. 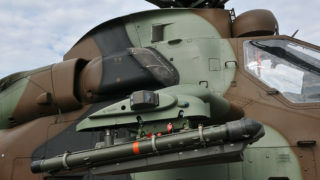 MISTRAL ATAM is currently the only helicopter mounted air-to-air missile in full operational service. 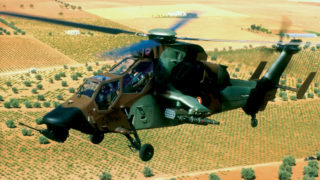 MISTRAL ATAM is operated by the French Army Aviation on the Gazelle and is also in service on the Tiger attack helicopter. 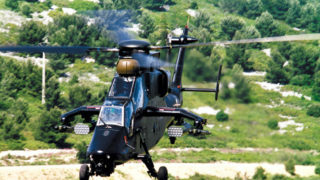 Integration onto India’s HAL Rudra helicopter is underway.